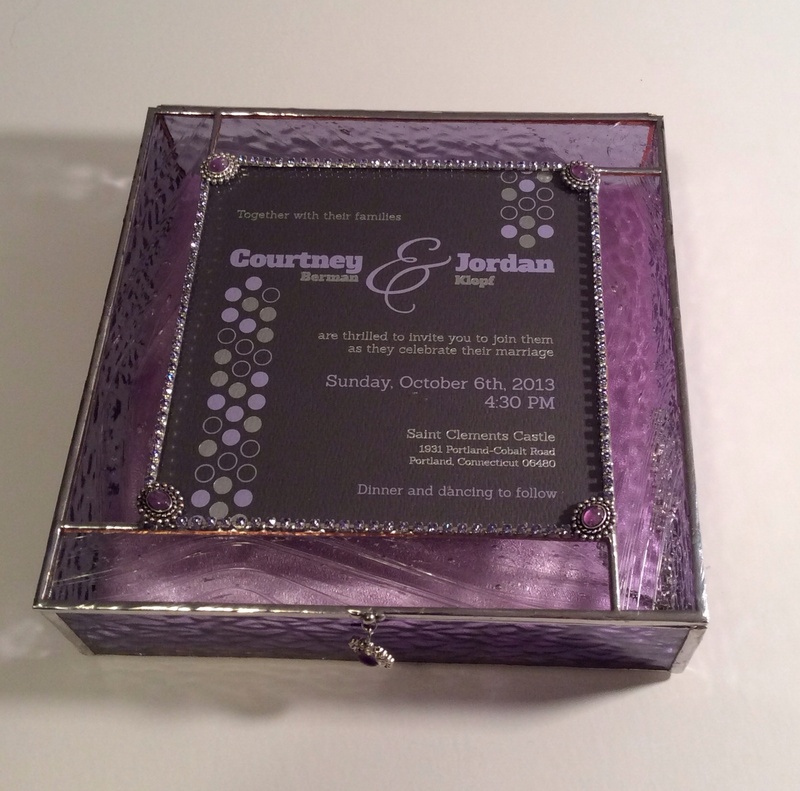 Sometimes I will make a box that will allow the customer to remove the invitation. It’s usually because I don’t have the invitation, or I have an imperfect one. I can still ship to the customer so that they receive the gift on time, and they save time not shipping another one to me. 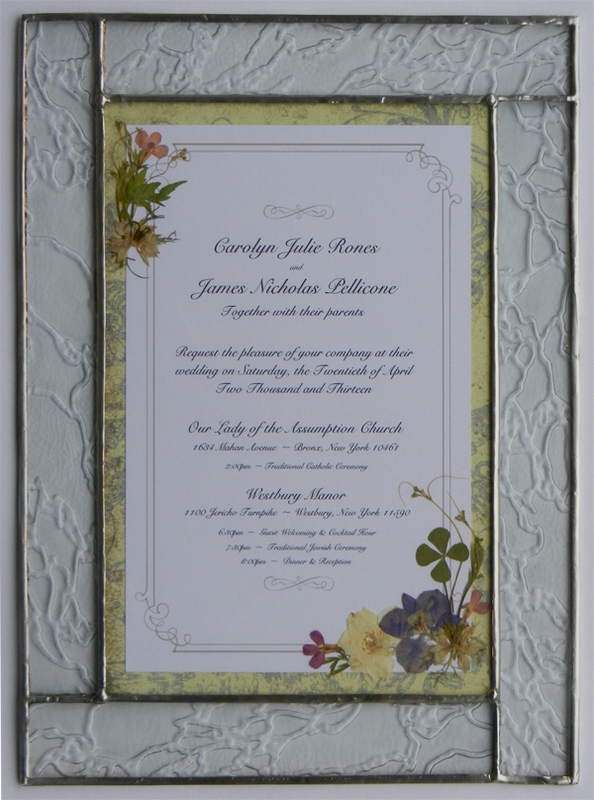 I make them with double panes of clear glass, and the customer can slide the invitation in. The next time was for someone who had red fingernail polish on when she slid the invitation into the envelope. It left scratches on the invitation and it was a type of paper where I couldn’t scrape at it without making more damage. We didn’t have time for her to send me another one before the wedding. A recent one was for a customer who was attending a wedding in Tanzania and didn’t have the opportunity to get a physical invitation until she arrived there. I don’t make them this way all the time, because it’s more work for me and it may slide around later on. When I design one like this I have to align it correctly. I need to make sure it’s going to slide in nicely but not have so much room that it will move around each time someone opens the box and that it has enough room so the customer won’t damage the new one getting in! I’ve been making clips to hold the invitation on the inside of the lid. 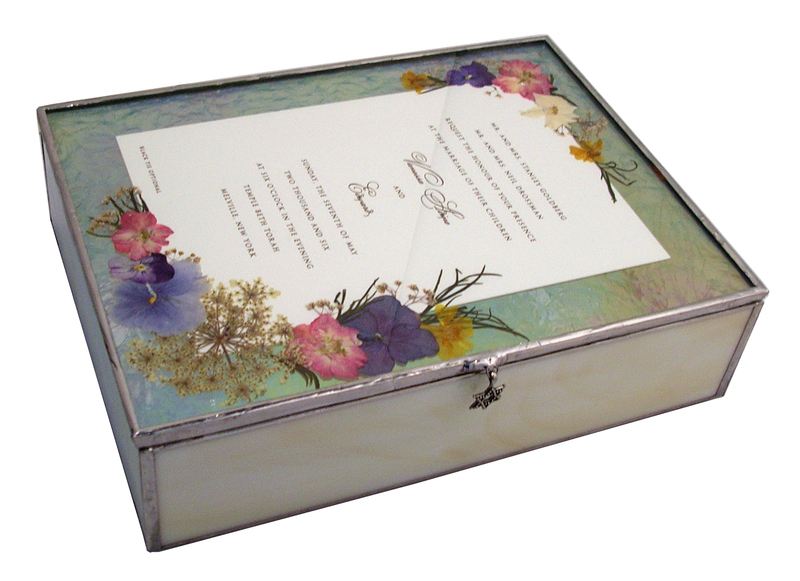 So here’s how to remove and replace an invitation if you do get a removable insert box. Lately I’ve been making glass boxes with multiple colors for the tops and sides. I was always afraid to do them this way, but they’ve come out great! I think my hesitation stemmed from my thought that they wouldn’t be “serious” enough of the occasion, but now I feel they enhance the invitation and make it known that this was a special occasion. A box that shouts, “Look at me!” in a good way. Here’s a simple but pretty wall hanging for an invitation. This one was for a wedding. It’s made with textured glass called Everglade. The swirls in the glass make it special. I used decorative brass corners plated in antiqued silver, which I added just a hint of gold powder onto. The frame uses a traditional picture framing “sawtooth” hanger. This way you don’t have an unsightly line showing through the clear glass! Recently I’ve started to use real Swarovski crystal strands around the borders of the invitation, with a few charms. I think it looks really elegant. I solder the entire strand so it is solidly attached. This one is made with amethyst crystals. The box sides are a very pale purple color. It has a mirror bottom but I also made a purple pad for the bottom, which helps to bring out the purple of the glass. When I send out a glass box I put them in an inner box and then an outer box. My customers sometimes give me a card to put in as well. 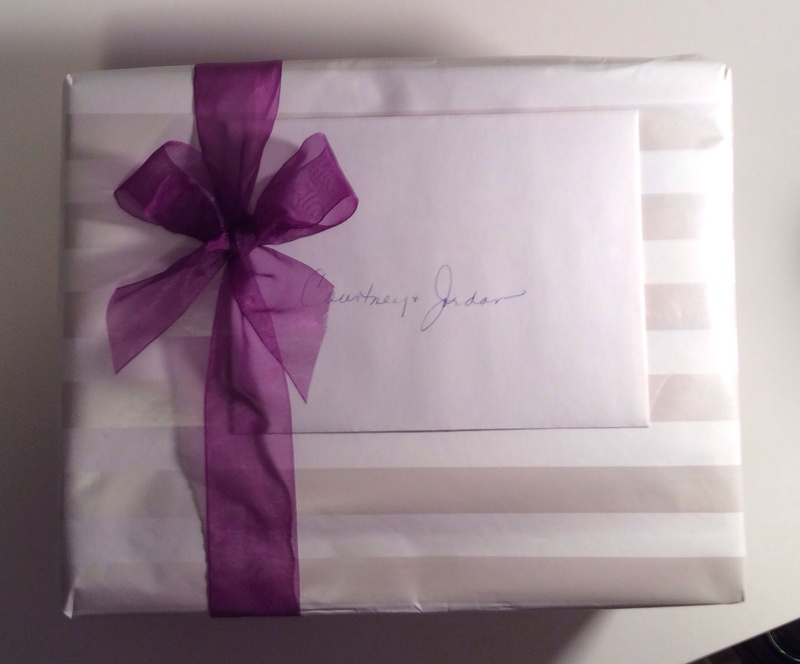 So I offer gift wrapping for the inner box if I ship directly to the recipient. 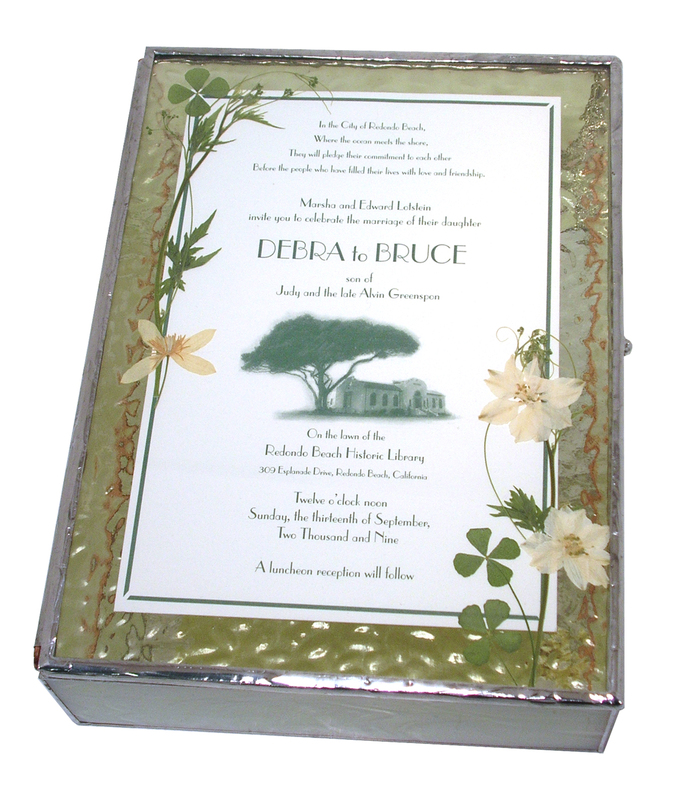 Several people have asked about my invitation boxes with pressed flowers and I realized today that I don’t have any pictures of them here! The only item I have with real flowers is a shadow box made with dried flowers from the bridal bouquets, but they are three-dimensional, not pressed flat. Some of the flowers I press myself, after all, I am a member of my local garden club! I press some purple and blue hydrangeas, violas, larkspur, delphinium and some greenery. Some flowers my mom presses for me, hydrangeas and Queen Ann’s lace, mostly. The more exotic ones come from Washington state, from a mom who home schools her children. I recently was able to purchase real 4-leaf clovers! 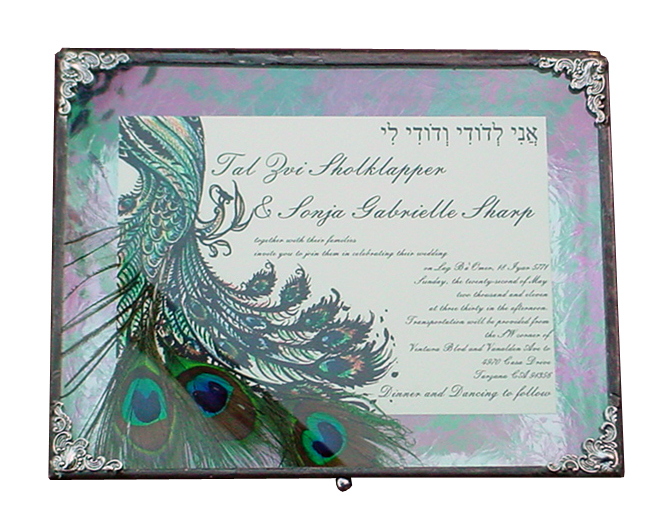 I’ve been asked to show some of the stained glass invitation boxes that I’m known for. When I first moved to Connecticut I worked at a picture framing gallery in West Hartford. They graciously let me sell my stained glass gift boxes (they got commission, of course!). 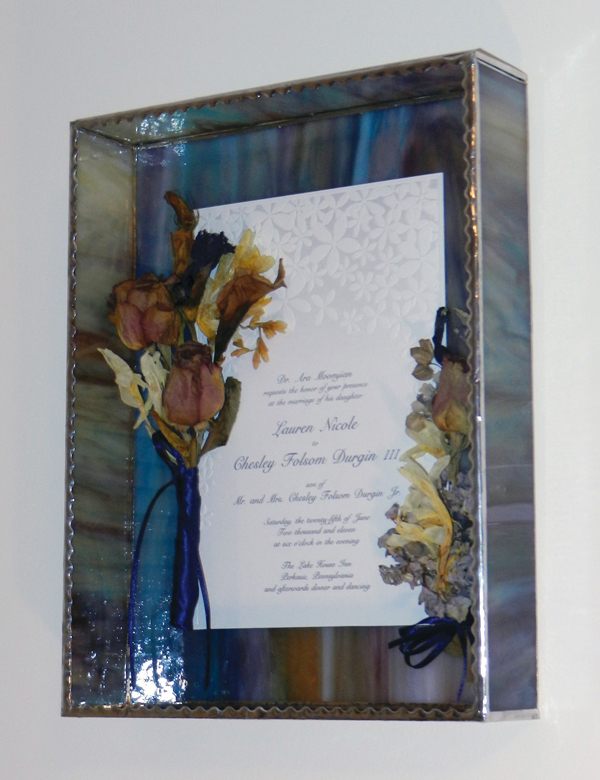 One day a customer came in and wanted a stained glass box with a wedding invitation put into the top. It came out great, and I’ve been making them ever since! The store had a huge Jewish clientele so naturally I expanded into making bar mitzvah and bad mitzvah boxes as well. I’ll show some of these in another post. This pic above shows a wedding invitation that had a peacock on it. I colored it in lightly and then added real peacock feathers. 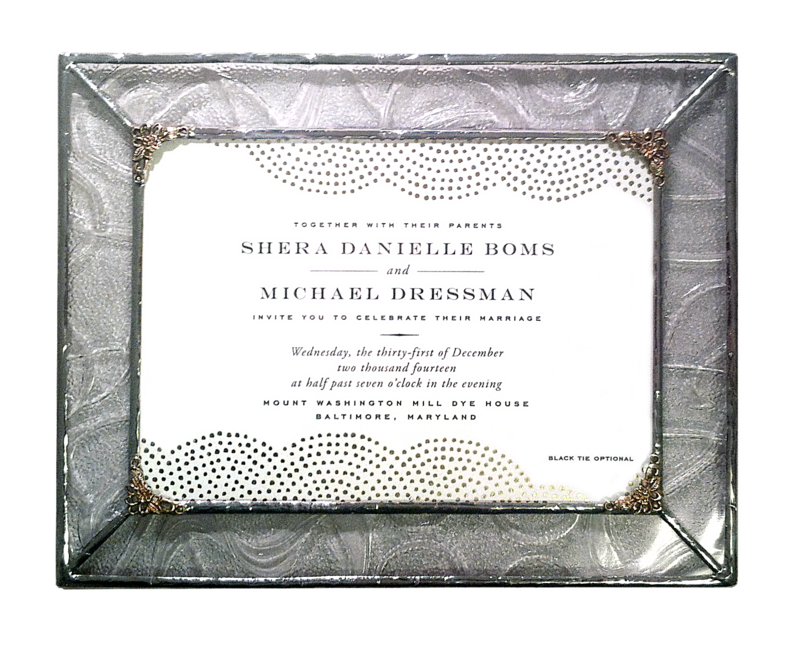 The invitation is sandwiched between an iridized “glue chip” clear glass and a piece of clear glass on top. The sides of the box were iridized black “waterglass” and I used a black patina on the solder. This one above was a real challenge: the bridesmaid brought me REAL dried flowers, not pressed flat but natural. I had to come up with a way to display them properly AND make sure that if they shed or had a piece that fell off, it wouldn’t remain in there forever. So I hinged the top to make a lid, it pressure fits in and good ol’ gravity will keep it in place.